Hera Research Monthly (HRM) is pleased to present the following exclusive interview with Ross J. Beaty, Chairman and CEO of Magma Energy Corp. (TSX:MXY). Mr. Beaty talks about green energy, geopolitical risk and peak oil and reveals the investment strategies of Lumina Capital Partners, LP. Mr. Beaty is a successful serial entrepreneur who has founded and run public resource companies for the past 25 years, including Pan American Silver Corp. (TSX:PAA, NASSAQ:PAAS), which he founded and grew into one of the world's leading silver producers with eight operating mines and market capitalization of more than $2.8 billion. Born in Vancouver, Canada in 1951, Mr. Beaty was educated at the Royal School of Mines, University of London, England, M.Sc., Distinction (Mineral Exploration) 1975 and the University of British Columbia, LL.B. (Law) 1979 and B.Sc. (Honours Geology) 1974. He has worked in more than 50 countries during his 37-year career and speaks English, French, and Spanish, as well as some Russian, German, and Italian. Mr. Beaty is a Director of The Nature Trust of B.C. and patron of the Beaty Biodiversity Center at the University of B.C. Mr. Beaty is a past President of the Silver Institute in Washington, D.C., a Fellow of the Geological Association of Canada and the Canadian Institute of Mining, and a recipient of the Institute's Past President's Memorial Medal. In 2007, Mr. Beaty received the Association of Mineral Exploration of B.C. 's Colin Spence Award for excellence in global mineral exploration, in 2008, the Mining Person of the Year award from the Mining Association of B.C. and the 2008 Natural Resources & Energy Entrepreneur of the Year Award by Ernst & Young. In March 2010, Mr. Beaty was presented with the prestigious Viola MacMillan Award at the Prospect and Developers Association of Canada (PDAC) gala awards in Toronto. In early 2008, Mr. Beaty founded Magma Energy Corp. to focus on international geothermal energy development. Magma Energy currently owns the Soda Lake geothermal plant in Nevada and interests in two large geothermal plants in Iceland, as well as 31 other geothermal properties in the USA, Iceland, Nicaragua, Chile, Peru and Argentina. HRM: Thank you for taking the time to speak to us today. Mining and metals seems quite different from green energy. What prompted you to go into green energy? Ross Beaty: Over the past 25 years, I've started 8 public companies, of which 7 have been sold (4 copper companies, a gold exploration company, a platinum exploration company, and a gold mining company). Only Pan American Silver remains. In 2008, I retired from Pan American (though I am still non-executive Chairman) and sold the last of our copper companies, so I was looking at either retiring or doing something new. I like change and I am also a bit of a closet environmentalist so I decided to build a new green energy company focused on geothermal power. Magma Energy is the result. We're now just 2 years old and I think we have a very bright future ahead of us. HRM: What made you start Magma Energy? Ross Beaty: When I looked at who is out there developing geothermal power, I saw that there was no real industry leader. Nobody was really trying to do this in a big way-to really build a world-class company as we had done with Pan American Silver. I felt we could do exactly the same thing in geothermal power. So, in 2008 we started with the modest mission of building the world's preeminent geothermal power company. We think we can achieve that mission in exactly the same way as Pan American Silver was built: by exploring, developing, operating, and acquiring. If we do those well, we can make people a lot of money, have a lot of fun and succeed in our mission. HRM: Are you interested in other areas within green energy, for example, wind or solar energy? Are there specific reasons why you choose geothermal energy? Ross Beaty: When you build a successful company you really have to focus. I chose geothermal because it is a sub-surface business, so a lot of the skills and knowledge I have built up over my career are very applicable. It's a global business like the mining industry; you work in many of the same countries, in the same rocks and you deal with many of the same development issues. I just love geothermal power. Anybody can do wind or solar. All you have to do is put your finger up and, if it's windy, you might be able to put a turbine up on your property. Geothermal is the cleanest of all electricity sources and is also one of the cheapest when you include all costs (capital, operating, maintenance and fuel). It's a far superior form of electricity generation because its baseload; it operates all the time. Wind and solar only work when it's windy or sunny and they're much more expensive in terms of the net result in generated electricity. Geothermal is also an area where discovery is a big part of the value proposition. If you can discover a geothermal resource by drilling, it's kind of like a discovery in mining or oil and gas. A good team can make something out of nothing, but a bad exploration team will simply waste money on dry holes. So geothermal is an area where human resources really count in terms of value creation. HRM: Are you saying that a geothermal business has superior upside potential, compared to wind or solar, because of the discovery aspect? Ross Beaty: Yes, geothermal has better wealth creation potential for a good management team and it's also lower-cost electricity and much more assured than wind or solar. Geothermal is powered by the heat of the earth. It's free and permanent. You don't have to rely on something ephemeral like wind or solar or, in the case of hydro power, water. When you look at the total cost over 20 or 25 years, geothermal is the least expensive form of electricity generation. HRM: How did the timing of getting into geothermal, in 2008, come about? Ross Beaty: The timing of my going into geothermal was because it was time for me to do something new. I thought geothermal was a great business and it also is very popular, in terms of incentives offered and as an alternative to fossil fuels based electricity generation. It had nothing to do with the financial meltdown. We would have been farther along had that not happened, although we may not have had opportunities that we took advantage of. For example, going into Iceland was strictly something that could only have happened because Iceland had a calamitous financial meltdown in 2008. HRM: Geothermal certainly is supported by the U.S. government in terms of grants and tax incentives, but I wonder if it will fall out of favor. How would that affect Magma Energy? Ross Beaty: Geothermal is a successful business in 28 countries of the world, producing 11,000 MW from almost 500 plants operating worldwide. It's a business that certainly doesn't need incentives, but if you've got them it enhances your profit margins. We are not building our business model around incentives. If you're in the wind or solar business you must do that. HRM: I understand Magma Energy is about 2 years old now. Ross Beaty: Magma Energy, of course, is my main effort. I'm putting a tremendous amount of time into the company and it's working: we are really growing quickly and I expect that growth to continue. We have a tremendous management team. We have 3 essential platforms today: Nevada, Chile and Iceland. In Nevada, we are exploring and developing our land position, which is the largest in the industry. We have one operation near Reno called Soda Lake, which generates 8 MW of power and we are expanding this to 16 MW now. 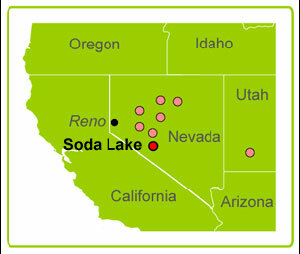 The Soda Lake operation sells all electricity to NV Energy Company in two 30-year power purchase agreements. Once our 16 MW plant is up and running we hope to undertake another expansion to take the plant to 25 or 30 MW. We are also working actively on a number of our other Nevada properties where we hope to discover and develop other operating geothermal plants in the next few years. Magma Energy's Soda Lake operation, consisting of 2,881 hectares (7,119 acres) of private and federal lands, is located in the southwest portion of Churchill County, Nevada. Soda Lake is comprised of two power producing facilities, Soda Lake 1 and Soda Lake 2, with a total installed gross nameplate capacity of 23.1 MW. Soda Lake 1 has an installed gross nameplate generation rating of 5.1 MW and is equipped with a water-cooled condensing system. Soda Lake 2 has an installed gross nameplate generation rating of 18 MW and is equipped with an air-cooled condensing system. Soda Lake 1 and Soda Lake 2 came on line in 1987 and 1991, respectively. Electricity sales from the Soda Lake operation have averaged 8 MW net over the period 2005 to 2008. Based on the recommendations set out in the Soda Lake Report, the company intends to continue the expansion program and to increase net electricity sales to approximately 16 MW in 2010 by drilling two new production wells and upgrading surface piping and existing equipment. Contingent upon completion of the expansion of existing net power output to approximately 16 MW and additional reservoir definition, the company intends to add additional power generation units to increase nameplate capacity to the P90 (90% probability) estimate of the geothermal reservoir's gross generation capacity of 28.8 MW, and potentially up to the P50 (50% probability) estimate of 54.8 MW. In Chile we have tremendous geothermal resources and long-term growth potential at our Mariposa property south of Santiago. We've already made a new discovery there in our first exploration project that we think will deliver growth for the next 15 to 20 years. It's a 320 MW resource and we have an active drilling program there today. In Iceland, we had the opportunity to buy a minority stake in a geothermal company called HS Orka that has two operating geothermal plants, Reykjanes and Svartsengi. Svartsengi currently generates 75 MW and Reykjanes currently generates 100 MW. We've been picking up pieces of the company that were held by various shareholders that had difficulties and we've now acquired, through three different transactions, a 43.2% stake in the company. We are hoping to increase our stake to over 50% and eventually to 100%. What's great about Iceland is that there are big, operating plants with state-of-the-art technology, incredibly strong human resources, and they have very large geothermal resources that will allow these operations to expand and expand for years and decades to come, which will give us a solid pipeline of future growth prospects. HS Orka has reserves of 640 MW and we plan to expand production by an additional 230 MW for a total output of 405 MW by 2015. HRM: I read that since 2008 the company increased its production from 11 megawatts (MW) to 86 MW and its resources from 199 MW to 784 MW. Ross Beaty: We've been very busy. Since our IPO last July we have increased our power production by eight times and our subsurface resources by nearly four times. That's satisfying growth but I think it's just the start. We made a very large discovery last year and it's a significant asset for us that will drive a lot of future growth. It's also a great example of wealth creation in this business through successful exploration. HRM: Is it possible to keep up that kind of growth? Ross Beaty: What I'm trying to do is build a company that's going to be here for generations. We are working now to build the foundation for that long-term growth-the producing assets and the large underground geothermal resource assets, which are the core building blocks to long term value. HRM: What kind of overall growth do you foresee in the next 3 to 5 years? Ross Beaty: Between our three platforms, Nevada, Chile and Iceland, we've been able to develop a very strong business of both operations and prospects for future growth that give Magma Energy tremendous value. What we have to do is maintain that growth. To do that takes a lot of capital and it's going to be several years before we have enough internal cashflow to sustain our growth without needing external sources. Our business plan right now seeks to produce 500 MW by 2015 and to have resources of 2000 MW. In geothermal, 1 MW is equivalent to 3 or 4 MW of wind or solar power because wind and solar are intermittent while geothermal goes day and night. So, 500 MW is a great deal of baseload power and will certainly position Magma Energy in the top tier of global geothermal power companies. Once this is achieved and Magma Energy becomes a real go-to stock for energy investors, we're going to have so many wins: for shareholders, for the planet, and for the energy security of the countries we work in. Our whole team is motivated to achieve our mission and we think we're going to have a tremendous financial win for shareholders, to the extent that we can succeed. It's the same thing we did with Pan American Silver, growing it from an idea into the world's preeminent silver mining company, creating 8000 jobs and all kinds of community development. It's a wonderful thing for me and for our team to be doing. HRM: I'd like to ask you about Lumina Capital Partners, LP, in which I understand you are the largest stake holder. Ross Beaty: Lumina Capital should really be thought of as a private investment fund. What happened was that I had a very skilled team of people that worked with me on the copper strategy that we began in 2003 through Lumina Copper. Over the course of 5 or 6 years we raised and invested over $80 million in exploration and development of copper deposits in Latin America and Canada. The business plan was to buy these properties cheaply and add value by exploring and developing them and then sell them. In 2008, we sold the last of the 4 companies we had created - the four companies brought in a total of $1.2 billion. It was a very successful business and we executed it well, but by 2008 the team was pretty much out of work. So, we created Lumina Capital and the team went back to work looking for good ideas investing in natural resource companies in various areas. HRM: I read that Lumina Capital has some uranium investments. Are you focusing on alternative energy in general? Ross Beaty: Lumina Capital is focused on natural resources, not just energy. I just happen to like uranium and I think the future is bright. Certain exploration targets that some companies have are very promising so we're making investments in companies that have good management teams, good properties and lots of potential. We've invested in a nickel company, a copper company, a couple of uranium companies and a gold company. Our most successful investment so far has been Ventana Gold Corp., which was the darling of the Canadian stock market last year. So, the Lumina Capital investment fund has done extremely well in its first year of existence. HRM: You mentioned nickel and copper. Do you think this is a good time to invest in base metals? Ross Beaty: Just look at what's happened to the prices over the last year. Copper has gone from a low in December 2008 of $1.26/lb to currently $3.35/lb. Nickel has gone from a low of about $5.00/lb to currently $11.66/lb and is the best performing base metal in 2010 so far. Uranium is also having a good run. All of these really are powered by the same fundamental forces: greater demand and constrained supply. Now, all metals are not the same. Each metal has its own specifics of supply and specifics of demand. We invested in a nickel project in Guatemala because we love the exploration potential. Even if the price of nickel doesn't go up, we think the company, Anfield Nickel Corp., is going to have increased value as we discover more resources on the property through drilling. If we get the double benefit of increasing resources and the price of nickel going up, it's a double win. Of course, the target for that company is to sell it to a company that wants to take the resources that we discover and build a large nickel mine. We don't plan to do that. It takes too much capital and it takes too long. It's a very nice niche business to discover and develop resources and divest to a big developer that wants to put mines into production. The same thing can be said about Lumina Copper Corp., which has a large copper deposit in Argentina. We like the property, we like the metal, and we think the basic game plan of developing the property and selling to a 3rd party for a significant capital gain is a good bit of business. In the case of Blue Sky Uranium Corp., it's pretty much the same philosophy. We like the company. We like its management team. We like its property position. We also like uranium. Even if uranium doesn't go up in price, we think that company is going to prosper based on new discoveries. If we are right in our view that uranium will go up in price, we should get a double benefit from that. We've invested in another uranium company exploring in the Northwest Territories [of Canada], Kivalliq Energy Corp., and it's exactly the same story. We're not just picking the metal. It's the metal plus the company [and its property position], plus the management team, and, to some degree, it's taking a punt and relying on some luck. HRM: Would it be fair to say that Lumina Capital is opportunistic? Ross Beaty: Yes, if the value is right and the potential is right and we like the management team, we'll invest in companies across the commodity spectrum. HRM: Let me ask you about geopolitical considerations. You mentioned Guatemala and Argentina. Magma Energy has operations in Iceland and a resource in Chile. Ross Beaty: I've made a lot of money in Latin America so we'll certainly keep investing there. In some cases, you just have to hold your nose and hope that the governments come to their senses and enact more investor-friendly policies. For example, Pan American Silver spent $600 million on a large silver property in the province of Chubut Province, Argentina, which had a mining ban because of some problems they had in a beautiful resort area with a gold development over 10 years ago. They threw the baby out with the bathwater. We're expecting the province to zone the area so that mining can occur where it is sensible to occur, where it doesn't create any big issues, and mining should not occur where it's in conflict with other important industries like tourism. We held our nose when we did the deal but we actually think this year that the province will enact legislation that's sensible for them and for us. You have to do that sometimes. There are places in the world I will not go. Russia is one of them, and several places in Africa. I've had experiences there. They weren't good ones. For me, life is too short. Most of the rest of the world is pretty much open season. Our view is that resource development done in harmony with government desires and community desires is a good business and it creates employment and economic development. You can do these things without degrading the environment. You can do this in most of the world. It's a big world out there. I don't have big geopolitical "No's". HRM: Before we go, I wanted to ask if you subscribe to peak oil theory. Ross Beaty: The candle is burning out on fossil fuels to generate electricity, and even for transportation. Oil is a beautiful commodity. It's got so many great uses that it's a crime to use it for electrical power generation, and even for transportation. Natural gas is cleaner and it's going to be with us for a long time, but coal is a dirty, dangerous product, and it also has higher uses in the future. I hope it's phased out as an electricity source. One thing I do is travel a lot. It's abundantly clear to me that we are very much a finite world. The easy oil has been discovered and is largely depleted. We cannot sustain the quantity of oil consumption that we have today. It's not being matched by new discoveries and it cannot be. 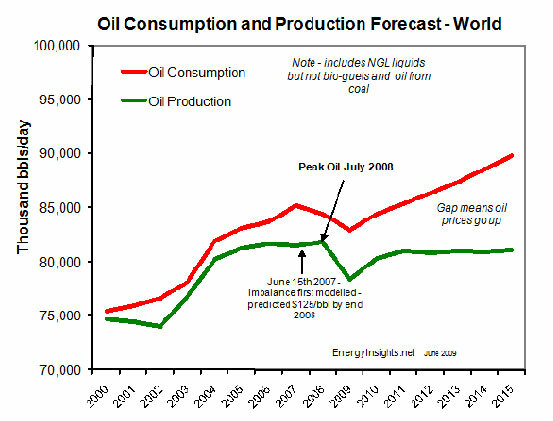 Sure, they're finding some new fields here and there but I definitely subscribe to peak oil and another thing I subscribe to is the fact that oil shouldn't be wasted by burning it. There are just too many other uses, like plastics and fertilizers, that will help people a lot more than burning it. I believe it will price itself out of existence as an electricity and fuel source and that can't happen too soon. HRM: Thank you for sharing your views with us today. Ross Beaty: People like you are very much part of my success and I am grateful for it. Ross Beaty is a man on a mission who is not just building a company but building a legacy for future generations. He has the experience and the skills to achieve his goal. When Ross Beaty talks about geothermal resources and operations lasting 100 years or more, he's talking about Magma Energy. If Magma Energy achieves its goals it will eventually be one of the largest and perhaps most profitable geothermal power companies in the world. Geothermal energy is not only a profitable business that enjoys strong political support, but a clean alternative to fossil fuels that doesn't harm the environment and that promotes economic development around the world. Ross Beaty's vision of the future is a hopeful one on many levels, but rather than awaiting the future, Mr. Beaty is creating it. Hera Research, LLC reserves the right to cancel any subscription at any time, and if it does so it will promptly refund to the subscriber the amount of the subscription payment previously received relating to the remaining subscription period. Cancellation of a subscription may result from any unauthorized use or reproduction or rebroadcast of Hera Research publications or website, any infringement or misappropriation of Hera Research, LLC's proprietary rights, or any other reason determined in the sole discretion of Hera Research, LLC. �2009 Hera Research, LLC.